To record parameters such as volts, amps, power factor, watts, kW and kWh at circuit level, the TrendPoint EnSure® Branch Circuit Power Meter is a particularly effective solution. It can be easily retrofitted into all conventional PDUs. It is Class 1 certified thanks to its extremely accurate metering which makes it an excellent tool to precisely record, analyse and optimise consumer power use for every branch circuit. The data gathered by the EnerSure® solution can, on the one hand, be stored locally and analysed using a proprietary user interface. On the other hand, the metre data can also be transmitted to all conventional BMS or DCIM solutions via TCP, Modbus, SNMP or BACnetIP communication channels. 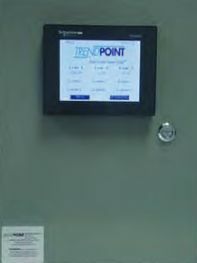 As is true of all TrendPoint products, the EnerSure® circuit metering system is a plug & play device that can be integrated into PDUs and panel boards. 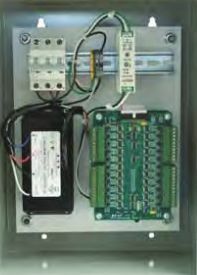 Which means that the metering solution is ready to use right away and starts recording and transferring the power values to the user and management interfaces via Ethernet, RS232 or RS485. As a result, data centre operators and facility experts always have an overview of the power use data for their environment, they can optimise capacity utilisation, save energy and lower CO2 emissions. Why is knowledge the most important power parameter for optimising data centre environments? Current: over or undervoltage is an indication that the quality of the power supply is insufficient and could lead to equipment downtime. Power factor: can be used to define the efficiency level and identify faulty hardware in a circuit.